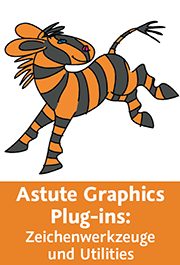 Like all software packages Illustrator saves settings for various functions at various places. Some of these preferences and presets can be edited and copied. Changes to preferences folders tend not to cause harm. 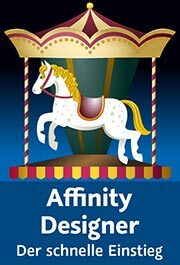 In case something goes wrong, Illustrator will create a new prefs folder. So it makes sense to save the original folder respectively files before editing anything. You should not edit files inside the Mac OS application package. No guarantee on this. I'm updating this website, but some items in the software might be upated faster than I can edit the page. Generally when you're doing anything beyond the official documentation, you're doing so at your own risk. I nicked the idea for this list from Klaas Posselt/einmanncombo, who wrote up the same for InDesign. Purpose: Saving various application settings, not only options inside Illustrator > Preferences resp. Edit > Preferences. Across versions: Migration of preferences when updating currently cannot be reccomended. Note: The file can be duplicated as a backup. To do this, first select the relevant options, then quit Illustrator and make a copy (outside of the preferences folder). You can also edit the file – when you first quit Illustrator. 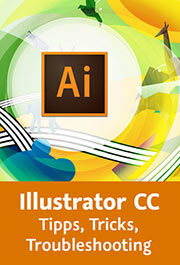 In case anything goes wrong, Illustrator will create a new preferences file upon next launch. Note: Using the command Reset <Workspace name> the changes will be deleted and the workspace is reset. Note: Directly after a crash when you restart Illustrator you must recover the file (if possible), otherwise the recovery file will be deleted. Revocery is not guaranteed. Recovery must be activated and set up in preferences. Purpose: In custom tool panels you save the tools you need most (for certain tasks). Note: The file »Transparency flattener presets« contains all presets – the defaults as well. Purpose: Saving custom keyboard shortcuts sets. Export: Out of Illustrator you can only export a text file with an overview. Note: In some versions number keys don't work. You can try and use the numpad. Modifier keys can't be changed. When system and Illustrator language don't match, not all default shortcuts work. 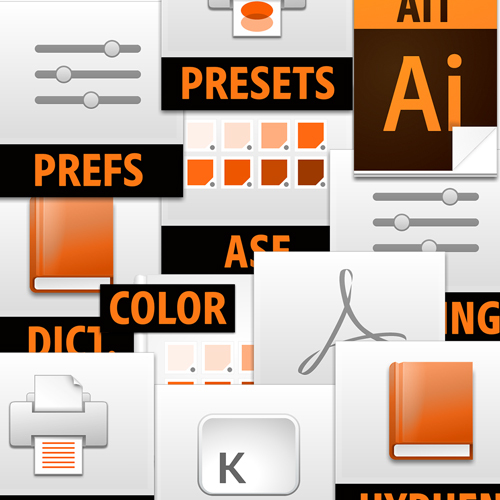 Purpose: Saving a variety of presets, options, swatches, views, artboard size. No elements on the artboard or canvas. Setting the color mode. Export: Any ai file can be used as a document profile. 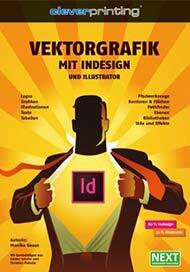 Editable: Using the same or a higher Illustrator version. Purpose: Saving all settings that are possible in document profiles plus elements on the artboard and canvas. Note: Any ai file can be opened as an Unnamed file via New from template. Export: no, the file needs tobe created in a text editor. Export: When saving a width profile it automatically gets written into the file. The file in the preferences folder only gets created after saving the first custom profile. Note: The filename has been localized, in a German version the filename is Pfeilspitzen.ai The default arrowheads inside the file should be neither deleted nor edited. The edited file should not replace the original one, but instead be saved to the Plug-in folder. Detailed instructions are directly inside the file. Note: The filename has been localized, in a German version the filename is Abgelflachte Kanten.ai The default bevels inside the file should be neither deleted nor edited. The edited file should not replace the original one, but instead be saved to the Plug-in folder. Note: Since the preferences file can destroy itself easily, it's recommended to export custom actions so they can be rebuilt easily. Note: Using ExtendScript Toolkit you can set a trusted folder. Inside the Scripts folder in the Presets you can create up to 50 subfolders. Note: The file contains all presets, not only the custom ones. Export: When saving a custom preset, it gets automatically written into the file. The file inside the preferences folder only gets created after saving the first custom preset. Note: The document contains custom and default presets. Presets from CS2 to CS5 can't be used in CS6 and up – it's a completely new function. Note: In this file you edit the default SVG effects. When you open Effect > SVG-Filters > Apply SVG-Filter reps. Import SVG-Filter instead, the SVG code only gets added to the currently open file. Purpose: Saving the last used settings in Asset export. Note: These settings can not be saved for individual files unfortunately. Only the last used settings will be saved regardless of files. Note: This folder also contains the files you send to the desktop from mobile apps. The folder can mess up all or single Creative Cloud apps when it has gone corrupt. In this case it needs to be deleted.